2. 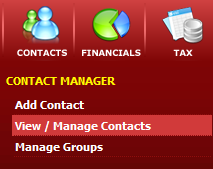 Click on the "+" on the left of your contacts name to display the saved searches associated with the contact. 3. Click on the saved search name for the auto-notification you want to edit. This will open the contact card window. 4. 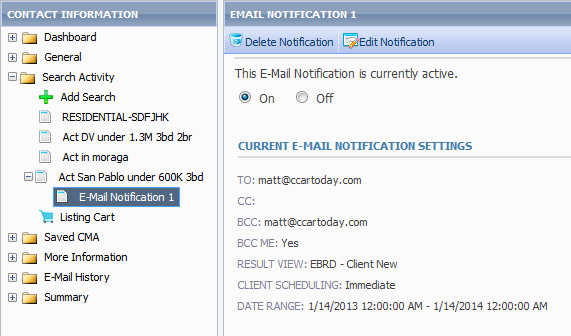 Select the email notification for that saved search from the menu on the left and then edit the notification on the right.